£456.99 total cost over 2 years What's This? £504 total cost over 2 years What's This? £552 total cost over 2 years What's This? £624 total cost over 2 years What's This? 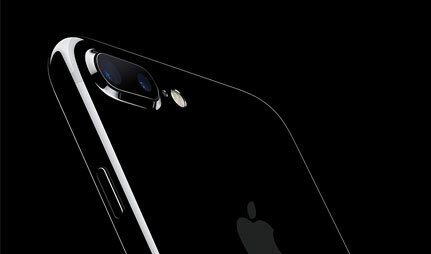 Perfect for entertainment of all types, the iPhone 7 boasts a 4.7 inch screen which is 25% brighter than previous models. 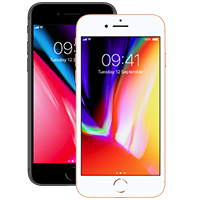 As well as offering stunning playback on all your content, this high-tech display features 3D Touch technology, redefining the way you interact with your device. 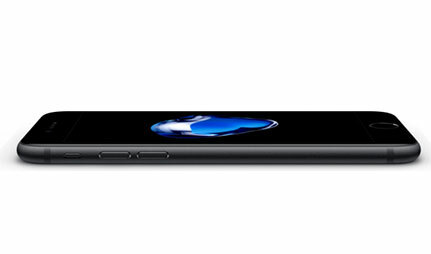 Featuring a seamless unibody of aluminium and glass, the stylish iPhone 7 also offers peace-of-mind against spills and splashes, thanks to an IP67 water resistance rating. Colour-wise, the traditional Silver, Gold, and Rose Gold options are now accompanied by sleek Black and Jet Black variants. 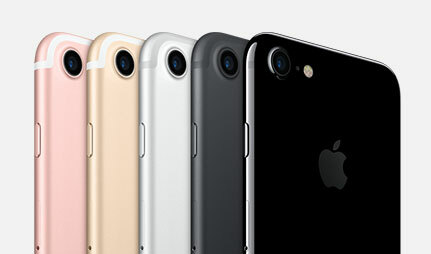 iPhone 7’s 12MP camera is equipped with a range of quality features to help you get the most out of every shot. Optical Image Stabilisation combines with a Quad-LED True Tone flash to ensure your results are blur-free and pin sharp. You can even experience more of the moment, thanks to Live Photos capturing a moving memory of every photo. Also on board is a 7MP selfie camera, which utilises Wide Colour Capture for dazzling self-portraits, as well as offering high definition FaceTime calls to help you stay in touch. Working away behind the scenes, the A10 Fusion Chip is the powerhouse which keeps the iPhone 7 running smoothly. This super-smart chip offers efficient energy management, with ample power supplied from its four-core design running at up to twice the speed of previous models. The battery is also much improved from the previous iPhone, now offering up to two hours more between charges. Thanks to the energy efficiency of the A10 fusion chip, you can spend more time enjoying entertainment, and less time worrying about charging your device. I think it's brilliant. So easy to use and very light. I love the camera,it only needs a very gentle touch to take a photo. The phone you sent out to was faulty in various ways. So no I’m not particularly impressed. Phone came - started to play up within a week - within the 30 days it was a constant restart scenario - after getting a run around from car phone warehouse, I finally got it sent back .....,, patiently waiting for my replacement !!! The iPhone 7 is amazing. Great battery life, fast processor and superb camera. The deal is fantastic, I am very happy.